Experience the luxury of a high-end salon with all the comforts of home. Located in the heart of Nashville, Cognito brings out the beauty in you while treating you like family. 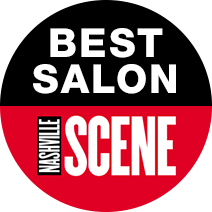 Let us pour you a glass of wine (or sweet tea) and give you the best haircut you’ve ever had. I’ve been a client at Cognito for over 12 years. My hair is thick and coarse, and a great cut is critical. I always have the perfect style, and beautiful hair color. I love Cognito! I have been a client of Cognito for approximately three years. In the past, I would "salon hop" every year or so just to change things up (grass is greener type of thing). Well, never again. I have found my hair home, and I would not trust anyone else. Mark has transformed the condition of my hair, and now people assume I have extensions! I love the entire Cognito team, and I am so thankful to be a client.